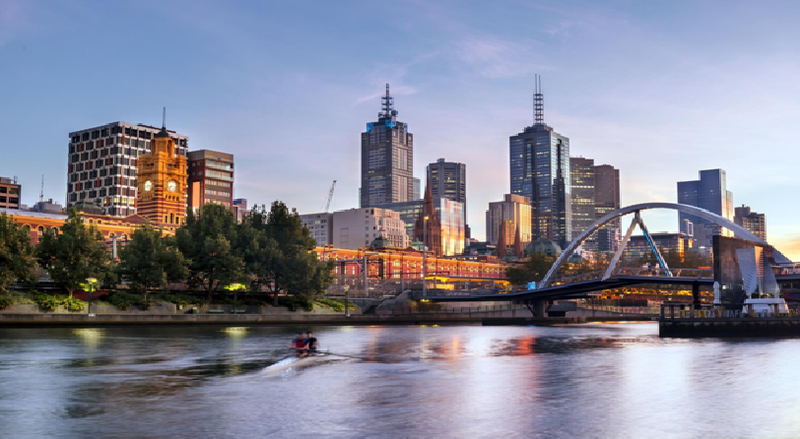 Melbourne is well-known for being an incredibly tourist-friendly city, but if you’ve seen all there is to see and want to explore the area more, then check out these top ten budget-friendly trips less than a day away. Puffing Billy Steam Train. Visit one of the most popular steam heritage railways in the world and take a trip on Puffing Billy in the Dandenong Ranges, 40 kms east of Melbourne. This century-old steam train continues to run on its original mountain track from Belgrave to Gembrook. The Railway is the major survivor of four experimental lines used to develop rural areas in the early 1900s. Yarra Valley. Renowned for being Victoria’s premium wine region, with over 80 cellar doors and even more vineyards, The Yarra Valley has so much to offer. For first time visitors there’s a few must-see wineries to tick off your list. De Bortoli is probably the most visited winery and has over 230 hectares of vineyards. Yering Station winery is home to the monthly Yarra Valley farmers’ market held on the third Sunday of each month. Stock up on organic veggies and meat, homemade pies, sweets, olives, cheese, coffee – all lovingly made by local producers. And don’t forget to visit the Chocolaterie on your way home. Mornington Peninsula. Foodies love this area where a winery lunch is a real highlight surrounded by lovely stands of native bushland. But it’s not all about the wine either, the Melbournian obsession with local craft beers has taken off in Mornington too. St Andrews Beach brewery is a Mornington Peninsula brewery that is a must visit! Their venue once a world-class horse training facility, they are not your average brewery and they brew on-site using the finest aroma hops and heirloom variety malt to ensure each beer is full of flavour and character. Hot Springs. Indulge at the world class Peninsula Hot Springs as you soak up the tranquil surroundings and absorb the peace while relaxing and rejuvenating. The pools and private baths are filled with flowing natural thermal mineral waters at this award-winning coastal oasis, so you can let your anxieties wash away as you relax in the naturally therapeutic waters and mineral-rich thermal pools. Grampians. The Grampians are one of Victoria’s most outstanding natural and cultural structures. The opulent diversity of wildlife and vegetation, unique rock foundations, Aboriginal art, outstanding viewpoints, and an extensive grid of tracks and bush camp sites offers a haven for bushwalkers, rock climbers, and nature lovers alike. The local Indigenous Jardwadjali people named the mountains Gariwerd – in their local language ‘gari’ means ‘pointed mountain’, while ‘werd’ means ‘shoulder’. Famous explorer Thomas Mitchell called the ranges The Grampians after the mountains in Scotland. Phillip Island. Famous for the Penguin Parade and Motorcycle Grand Prix racing circuit, Phillip Island entices an inquisitive mix of surfers, motorsports enthusiasts and international tourists heading straight for those tiny penguins. Visit a wildlife park to get up close with koalas and kangaroos, then watch sea birds and fur seals at the Nobbies. At sunset, take your position at Summerland Beach to enjoy the evening Penguin Parade, as cute penguins waddle up the beach to their hideaways after a long day fishing in the ocean. Great Ocean Road. Experience one of the world’s most scenic coastal drives along the south-west coast of Victoria. It takes you past world-class surfing spots, through rainforests and tranquil seaside towns. If you’re lucky you’ll see wild koala, wallaby and kangaroo too. Appreciate steep limestone cliffs, dairy ranches, mixed shrub lands, as you drive alongside the crashing waves of the Southern Ocean. The Dandenongs. The lush ranges of the green Dandenongs, less than 40 km from Melbourne, feel a world away from the city and make an incredible day trip. Drive up to SkyHigh for surprising views over Melbourne and Port Phillip Bay from the highest point in the Dandenongs. The sight of the lights at nightfall is very impressive. There’s a cafe-restaurant, a garden, picnic areas and a maze – a great family day out. Lorne. One of the Great Ocean Road original resort towns, Lorne embraces all the charms that have lured visitors here since the early 19th century. Beyond the hustle and bustle it has an astonishing natural beauty: tall old gum trees track along its hilly lanes, and Loutit Bay glows intensely. Sovereign Hill. You’ll need to set aside at least half a day to visit this fascinating re-creation of Ballarat’s 1860s gold-mining township. The site was mined during the gold-rush era and most of the equipment is original, including the mine shaft. Kids and adults alike will love panning for gold in the stream, watching the hourly gold pour and exploring the old-style sweet shop. Greg Lindae: Why hire an investment professional? The Invest Blog. All Rights Reserved.